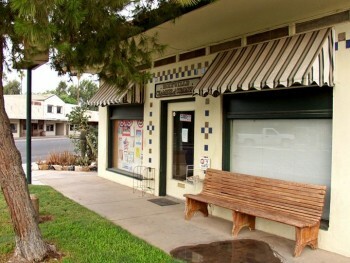 The Holtville Chamber of Commerce is the leading voice of businesses in the City of Holtville. The Chamber of Commerce sets the standard for excellence in member service, community collaboration, business growth and achieving a high quality of life in the City of Holtville. Business and Political Contacts: Through various Chamber events, meetings and activities, you'll meet fellow members who can send you valuable business...and vice versa. You become part of a personal "customer referral service". And if need arises for assistance within the local city or county government, the Chamber stands ready to provide direction and support. Advertising: Publicity releases on special events in Holtville are provided to news media: Radio, television and the printed press. Business Referral Service: We receive many requests each year for the names of local businesses, professionals, services and other establishments. Publicity: All member businesses receive free publicity through a listing in the Chamber Membership Directory and on the Chamber website. The Chamber is willing to assist the City of Holtville in grand openings and ribbon cuttings. Tourist and Visitor Promotion: Chamber staff annually responds to numerous inquiries about services and community events from persons looking to visit, relocated to Holtville or the Imperial Valley. Special Events: The Holtville Chamber, in cooperation with various local organizations, promotes and organizes various events such as Farmers Markets, Mixers, the Carrot Festival, Christmas in The Park and Easter Egg Hunt in the Park. Networking Opportunities: The Chamber of Commerce provides networking and sponsorship opportunities for its members (i.e., awards recognition banquets, etc. ).